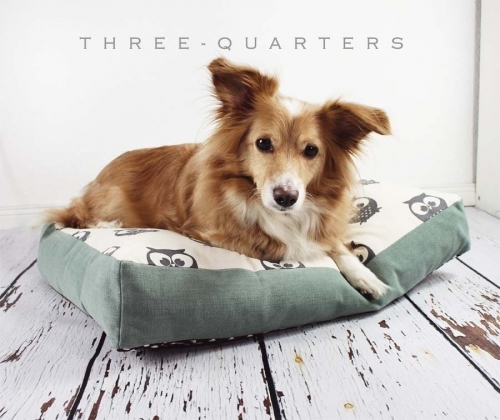 This cozy dog ​​pillow is ideal for their four-legged friends - for sleeping, cuddling, playing and for burying the Treats. 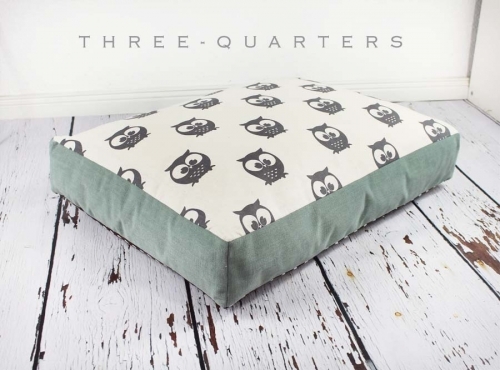 The top is made of a beautiful fabric in gray nature with owls in. The underside is dark brown with white dots in. 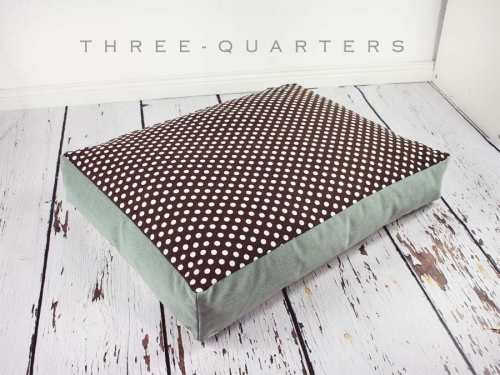 The sides are mint in a beautiful mint green /. With zipper. The lining pad can be washed separately. Washable at 30 degrees. Super soft and shake up internal filling - aufschüttelbar like down. Made to measure: .......... Call for Pricing. On some of the pictures you can see the little Noah, who hopefully will help you to find the correct size. He is about 70 cm long from nose to tail and is about 10kg heavy. He would still fit into the pillow size S - but as it is he likes stretches sometimes proud owner of a pad in size M. In it, he can now crisscross sleep as he wants. All materials of the pillow can of course also be combined differently. Other colors are possible - just send us a message.